Re-recordings by country artists are invariably dismal legal maneuvers. Rodney Crowell’s Acoustic Classics is different. For starters, the Texan never succumbed to has-been status. Crowell is in his artistic prime as he nears his 68th birthday. The songwriter redeems “Please Remember Me,” a goopy 1999 hit for Tim McGraw, refreshes “Leaving Louisiana in the Broad Daylight”, a 1979 hit for the Oak Ridge Boys, and reworks “Shame on the Moon,” a 1982 hit for Bob Seger. The new interpretations of “Making Memories of Us” and “After All This Time” bring me to tears. May we all continue to outrun the train and outlast the pain. I asssess the Folly Jazz Series' forthcoming season at Plastic Sax. The jazz trumpeter Tomasz Stańko has died. ECM created a nice memoriam for the Polish trailblazer. I’d rather hang out with Cody Jinks than listen to his music. Jinks and I could bond over our mutual admiration of Waylon Jennings, Joe Ely and Jerry Jeff Walker. His new album Lifers acts as a fine homage to those troubadours. Santigold’s I Don’t Want: The Gold Fire Sessions exudes the guileless creativity of M.I.A.’s 2004 mixtape Piracy Funds Terrorism. RIYL: J Balvin, parties, Run the Jewels. 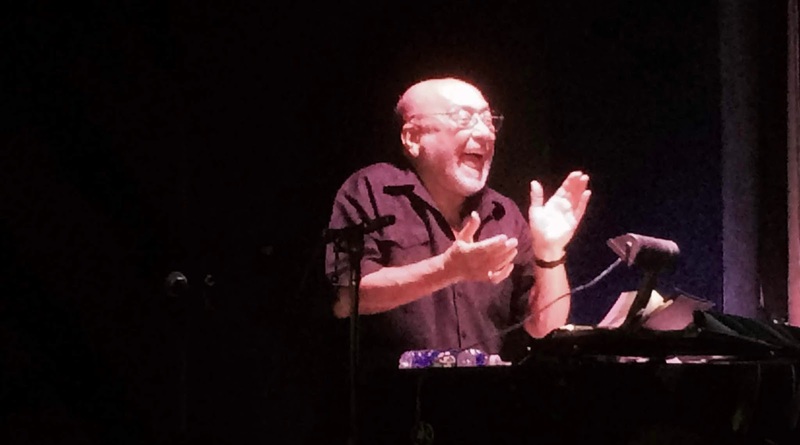 Azul in Ljubljana is an invigorating live recording by the longstanding trio of bassist Carlos Bica, guitarist Frank Möbus and drummer Jim Black. RIYL: Dave Holland, Euro-jazz, Nels Cline. Four black musicians performed for 20 white people at the 1,000-capacity Kanza Hall on Friday. I forked over $15 at the door to witness the debacle. Selwyn Birchwood is one of handful of artists equipped to shake blues out of the doldrums. The form has been stuck in a commercial and artistic rut for years. The Floridian’s astute songs, sly guitar solos, powerful voice and uncommon band configuration- guitar, saxophone, bass and drums- were even more impressive at Kanza Hall than on his two albums for Alligator Records. The snippet of a Fenton Robinson-style guitar solo I posted to Instagram reflects Birchwood’s sensitivity and restraint, rare qualities in a genre that too often rewards bluster. Subtlety clearly wasn’t in demand on Friday. I blew my travel budget on an Eddie Palmieri show in New York last year. By Kansas City standards, I spent crazy money to catch the salsa legend at the Blue Note. As a snippet of footage I posted to Instagram suggests, he was worth every penny. The octogenarian and his expansive band revise salsa classics on the joyous new album Full Circle. Not only does the project substantiate my enthusiasm for the Blue Note show, its life-affirming jubilance provides precisely the sort of consolatory tonic I need this summer. I reviewed Shania Twain’s return to the Sprint Center for The Kansas City Star. I take note of the fine new album by Chris Hazelton’s Boogaloo 7 at Plastic Sax. The title of the Internet’s Hive Mind is unintentionally ironic. Me-tooers have heaped praise on the return of Syd the Kid’s stylish soul group. Telling the truth is unfashionable, but I don’t mind being the bad guy. Here goes: Hive Mind is a terrible disappointment. Aside from the sublime bass lines, there’s little to admire about the dreary project. Decade, a collaboration between 90-year-old Lee Konitz and 36-year-old pianist Dan Tepfer, is a mystical mind-meld. RIYL: chess, Sam Rivers, astrophysics. Protoje’s A Matter of Time is a solid roots-rock-reggae album. RIYL: Chronixx, getting past Legend, Burning Spear. Here’s “Bout Noon”. I’d long ignored friends as they've touted footwork. What a mistake! Since R.P. Boo’s new I’ll Tell You What! turned my head, I’ve been astounded by almost every track on footwork playlists including Spotify’s Footwork Fever. Better late than never. As a grown man, I’m disinterested in rap beefs and internecine heavy metal skirmishes. I don’t particularly care why the metal community is divided by Skeletonwitch’s Devouring Radiant Light, I just know that I’m down. RIYL: Deafheaven, sore throats, Revocation. Here’s “Fen of Shadows”. Bachman-Turner Overdrive’s Not Fragile was one of my favorite rock albums when I was in elementary school. 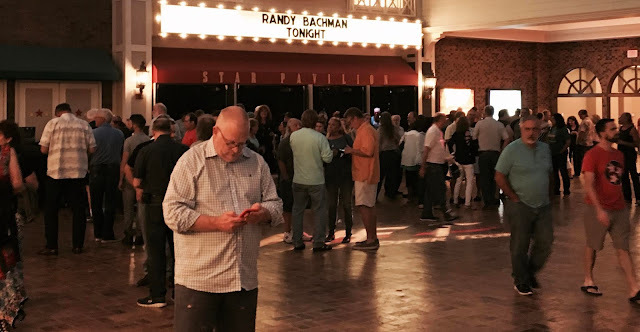 My abiding affection for burly BTO songs like Not Fragile’s title track (“hoping boogie’s still allowed!”) compelled me to buy a $38 ticket at the door for Randy Bachman’s concert at Ameristar Casino on Friday. The 74-year-old’s astonishing 100-minute appearance obliterated my modest expectations. Bachman provided the surprising backstories of many of his hits as the primary artistic force of the Guess Who and Bachman-Turner Overdrive in a survey of his momentous career. In addition to dropping the names of friends and colleagues like Burton Cummings (“he was born to be wild; I was born to be mild”), Joni Mitchell, Neil Young and Stephen Stills, the setlist included three songs from his wondrously weird new George Harrison tribute project. He took delight in enunciating the word jumble “buy By George By Bachman. My mind was blown when Bachman introduced one of his four bandmates as his son Tal before a rendition of the latter’s 1999 hit “She’s So High”. I never made the connection between father and son. The show’s sole flaw was the intrusive ambient noise from the casino that occasionally made Bachman’s stories difficult to hear. My polite request to the staff at the entrance of the venue to shut the doors was summarily dismissed. It’s a shame that Bachman’s classic rock tales weren’t afforded respect by indifferent representatives of the gambling emporium. 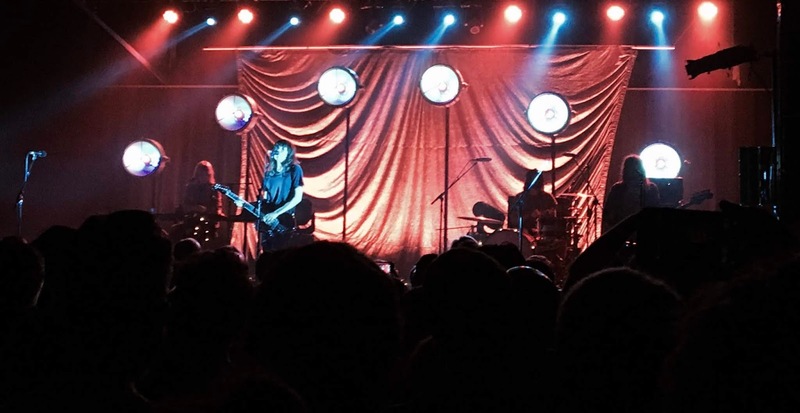 A friend proclaimed that Courtney Barnett is “the present and future of rock and roll” in his social media post from the Truman on Wednesday. I’m not so sure. After paying $33 to join him amid a full house of more than 1,000 fans at the Australian’s 90-minute performance, I believe that the 30-year-old is a gifted holdover from rock's past. The gray-haired dudes wearing Tom Petty t-shirts were definitely in the right place. Barnett’s old-school rock and the rinky-dink stage production made her appearance a spot-on throwback to 1978. While I enjoyed the defiantly archaic show and would be thrilled if Barnett had a commercial breakthrough, I sensed that I was witnessing the pinnacle of the career of an artist who is destined to be a marginal cult musician in the vein of Barnett’s countryman Paul Kelly. I regularly run into a diligent concert photographer who is a steadfast rock loyalist. After bemoaning the invariably diminished crowd sizes for his favorite form of music, our discussions shift to the general decline in the popularity of mainstream rock. My go-to line is “where’s the new Guns N’ Roses?” The next time I see my friend, I’ll be able to tell him that rock’s savior has finally arrived. On its fourth album Vicious (July 27 street date), Halestorm shows it’s capable of kicking up fresh dust with the one foot rock has moldering in the grave. I’ve been on the Halestorm bandwagon for years, but the wholly accessible Vicious is the band’s first release that’s capable of crossing over to fans of classic rock, contemporary country and pop. “Uncomfortable” is just one of several potential hits on Vicious. Fashionable bands like Deafheaven and Parquet Courts will get the lion’s share of breathless reviews. Halestorm is destined to pack arenas. It’s about time. Let the commercial revival of rock commence. I reviewed a concert by Kenny Chesney, Thomas Rhett, Old Dominion and Brandon Lay at Arrowhead Stadium for The Kansas City Star. I reviewed a concert by Henrique Eisenmann and Ehud Ettun at the 1900 Building for Plastic Sax. Binker and Moses’ electrifying Alive in the East? lives up to the hype. Maybe London really is the new jazz capital of the world. That said, I could do without the annoying harp of Tori Handsley. RIYL: Courtney Pine, trendiness, Shabaka Hutchings. Beastmode 2 is fine, but I guess I’ve moved on from the Future/Zaytoven formula. It doesn’t move me much anymore. The Royal Krunk Jazz Orkestra is a new-school big band led by Russell Gunn. Get It How You Live is worthwhile, but RKJO is clearly an ensemble that’s best experienced live. RIYL: Snarky Puppy, progress, Dionne Farris. Something was wrong with me. I’d become unusually disaffected in recent days. I was relieved when I happened upon the proper diagnosis of the mysterious ache: I hadn’t attended a metal show in six weeks. I paid $28 at the door of the Truman to allow the fearsome package tour of Black Dahlia Murder, Whitechapel, Fleshgod Apocalypse, Aversions Crown and Shadow of Intent to relieve me of my metal deficiency. The extreme dose of bone-rattling blast beats mended my soul. Getting kicked in the head by crowd-surfers and elbowed in the gut by crazed men in the mosh pit enhanced the healing process. Fleshgod Apocalypse, a theatrical Italian band with an operatic vocalist and a pianist, amused me. 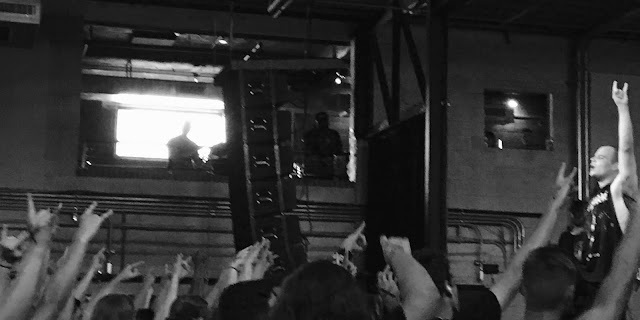 I felt the musical medicine fully kick in when the group insisted that the audience of about 700 participate in the traditional wall of death ritual. I reviewed Stephen Martin’s debut album Vision at Plastic Sax. Henry Butler has died. My kids were so enamored with a performance by the Louisiana pianist at an outdoor festival about 15 years ago that they had Butler sign their comic books. Richard Swift, an indie-rock Zelig, has died. Jazz trombonist Bill Watrous has died. The Kansas City rapper Hoggy D collaborates with locally based heavyweights Rich the Factor and Rush Borda on the old-school street rap album Heavy Starch. Here’s “New Method”. Cyrille Aimée's new live album affirms my enthusiasm for her concert at the Folly Theater in February. Far more than a gypsy jazz revivalist, Aimée and her band get delightfully weird on Thelonious Monk and Michael Jackson covers. I’m not going to pretend that I love it, but the ways in which Yuno blends Blink-182, Lil Peep, No Doubt, the Cure and Sade on Moodie is the default sound of 2018. Here’s “Why For”. Philthy’s Party Crashers is a decent funk album. I wouldn’t ordinarily bother mentioning it, but I came upon the release by the New York ensemble immediately after suffering through two like-minded but vastly inferior efforts by locally based artists. Here’s the title track. The spate of protracted albums is wearing me out. I'm diligently working my way through all three hours and 15 minutes of William Parker’s stupendous Voices Fall From The Sky. RIYL: Anthony Davis, art songs, Wadada Leo Smith. Gorillaz’s The Now Now strikes me as the sequel to Arctic Monkey’s Tranquility Base Hotel & Casino. That’s a good thing. Here’s “Humility”. Drake’s money-infatuated album Scorpion reminds me of an incident that occurred during the Mexican beach vacation I took last year. I thought I was living like royalty as I paid $75 per night for a clean room and all the food and booze I cared to consume at a hotel catering to Mexican families. Only when I snuck into a nearby resort on a futile quest to obtain an English language newspaper did I realize that I was a relative pauper. I blew past an initial wave of security guards with the gringo excuse of “no hablo español” and discovered a hidden realm of exceptional luxury. Dozens of perfectly-toned Europeans wearing swimsuits the size of peso notes lounged around a spectacular water complex that made the centerpiece of my hotel seem like a plastic wading pool. I was unceremoniously escorted out before my beggarly presence spoiled the luxe setting. Even though I’m ostensibly welcome to bask in the lavish atmosphere of Scorpion for as long as I like, the recording makes me feel like a shabby outsider crashing a swanky gala. Drake appears to disdain everyone who hasn’t achieved similar levels of success. Given that he seems miserable, I have no interest in trading places with the world’s most popular rapper. He may spend more money in an afternoon than I make in a decade, but Drake seems lonely, bitter and petty on the sadly revealing Scorpion. That’s “God’s Plan”. My five favorite sets at the Middle of the Map festival were by Spoon, Mx.Mrs Btrfly, Jade Jackson, Rick Maun and Becca Mancari. 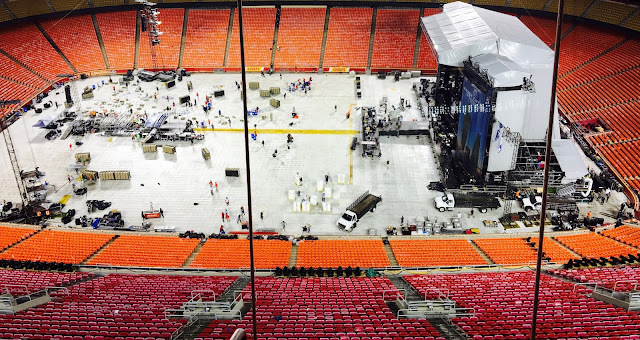 I reviewed day one and day two of the event for The Kansas City Star. I featured Mysterious Clouds, Cubanisms and Logan Richardson in a mid-year music survey on KCUR’s Up To Date. I parse the disheartening results of a Downbeat poll at Plastic Sax. I continue to toil at The Kansas City Jazz Calendar like a sequestered monk copying holy manuscripts.